the country’s most popular natural site. Taupo is also popular with fans of extreme sports, and visitors can chose between sky diving, paragliding and jet boating among others. Due to the town’s small size, dining and drinking establishments are in short supply, but all are local joints and consistently populated. 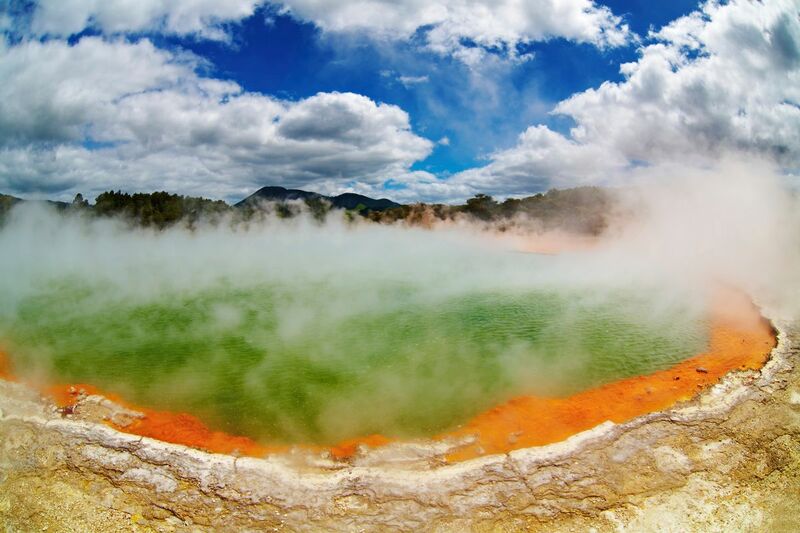 Taupo, located in the center of New Zealand's North Island, is the starting point for numerous outdoor activities in the area. Lake Taupo has water sports galore, plus trout fishing and Maori carvings. Tongariro National Park--with its famous one-day hike, Tongariro Crossing--is a short drive away. New Zealand is a low populated country, and Taupo being one of the mid-sized towns, it has all the amenities, but is still very easy going and relaxed. It's a beautiful place, and having an amazing breakfast at one of the cafe's along the Taupo lake aka an extinct volcano, is awe-inspiring. I recommend seeking out one of the many hot pool options in the area. It's a great place to really relax. BEEP,BEEP,BEEP!!...... I know where the best private thermal pool is here but if I tell everyone I'm dead.......hahahahaha. You know what I love? Water. Lots of it. Preferably in oceanic form, but I'll take it however I can get it: cascading down a cliff, rushing as a river, even lazing peacefully inside a lake (although add a few mountains as scenic backdrop, and I might even up lakes a few notches). Lake Taupo is everything good about water. The basin was created by a giganto volcano, so the thing is the size of a small country. (Literally. It's the same size as Singapore.) Anything you want -- kayaking, fishing, nearby snow-capped glacial mountains, Maori rock carvings to appease the volcanic gods -- it's here. Pretty Nice place.. and very nice Skydiveng up there..